OK -- who has one? October 08 I buy this 6-speed R/T, the first to hit Houston. a Month later I find a fully loaded (everything) 6-speed SRT8 -- and buy it. This car has been parked for 13 months with less than 1000 miles on it. Plans are to customize it with shaker hood, seq. 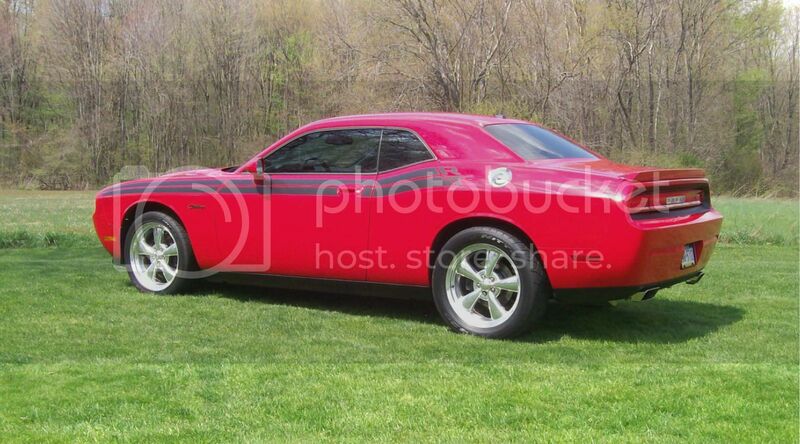 tail lights, remove RT decals, add pearl Red accent stripe with a smaller Mary Kay Pink separation stripe, Mr. 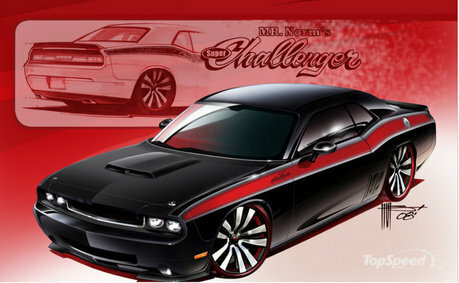 Norm Cuda Grill, and side exhaust. I did do the seq. tail lights -- but I think that's all I'm going to do. I use to like them on the 71-74 Mustang Mach 1s -- but those don't do anything for me, especially on a black car. This is what the RT looks like now. It has been my daily driver for a couple of months now. 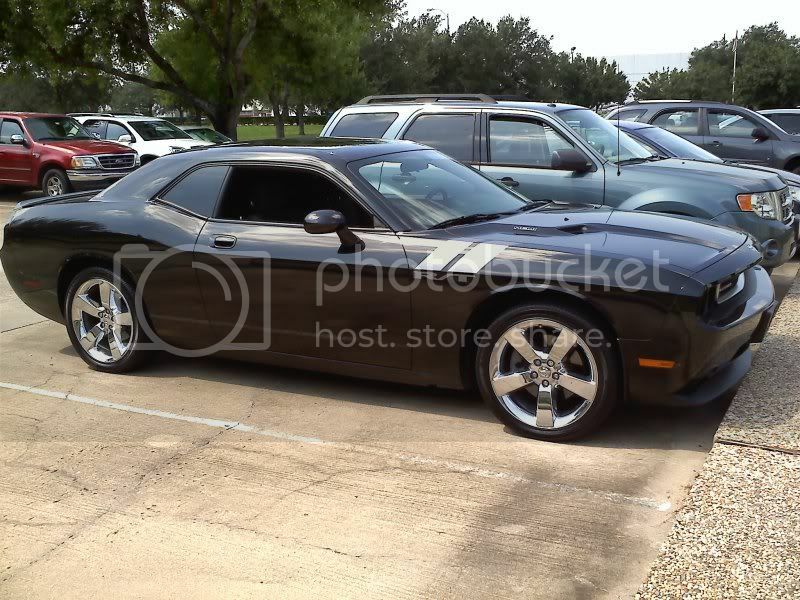 I'm looking at a 2010 Challenger R/T with a 5.7 and a 6 speed. Trying to sell or trade in a 2006 Victory Hammer bike. I want to do some basic mods to make it run better without doing anything internal. I saw one on a dyno at Carlisle making over 500 H.P to rear wheels. I spent most of my money on FAST CARS and BEER, the rest I just wasted. Currently has 6500 miles on it. Lots of mods done to it, I will have to post my build soon as I went through a lot with this 5.7 and learned a lot. Hopefully what I went through will help others with these engines. Only have a few more things to do then I will fire it up. Picture of the car and also the new 2-stage Nitrous. 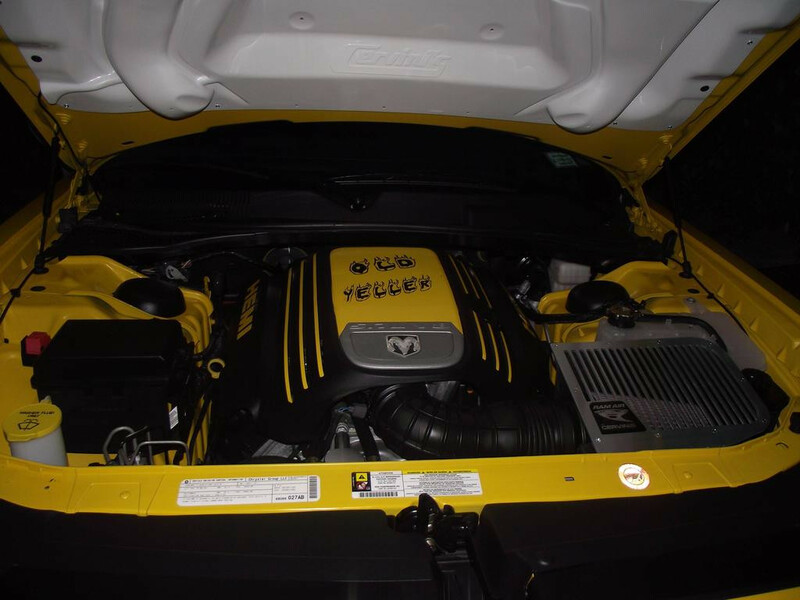 Ok i havent been on this forum in a long time.In march of 2010 i bought my new challenger rt (detonator yellow).I love it and have done some mods to it.heres a few pics.I still have my 1964 sportfury that i am going to be asking alot of questions about?? Here is my 09 R/T? I bought her used. 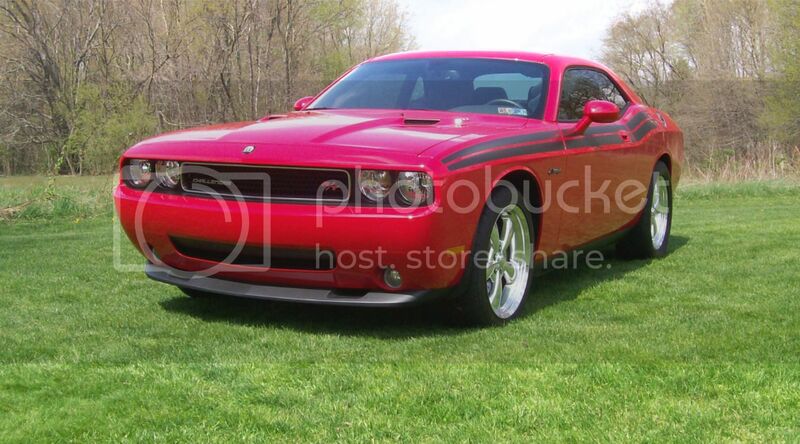 I have a 2010 Challenger R/T Classic auto. Last edited by RAMIT; 11-08-2010, 12:44 PM. 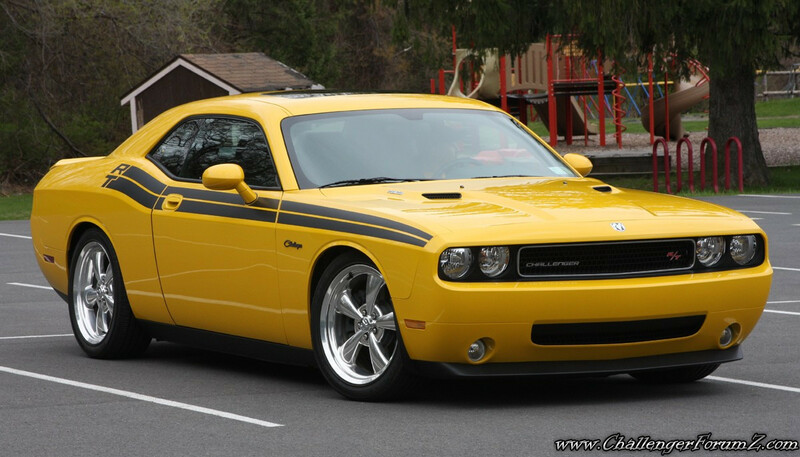 Just got a super deal on a new 2010 Detonator yellow SRT8 I'll either trade it for a 2011 or put a blower on it ... hmmmm . I just saw this beautiful car going east bound in Sulphur,La a few minutes ago (8:07 am). I'm doing construction/painting in a Mr. Gattis resturaunt and had just gotten off work traveling west bound. I was in a blue 09 RCSB Ram, not that you noticed but just in case. I didn't make out the driver because I was too busy looking at the car and trying to remember where I saw it...then it hit and it blew me away, he he! Looks even better going down the road...even better if I were driving it, lol! I have a 2010 SE in dark titanium. Love the car. It is my daily driver in good weather.